When HTC Corp brought back founder Cher Wang two years ago to turn around the struggling Taiwanese mobile phone maker, investors hoped she could stem a sharp loss in market share to Apple and Samsung Electronics. But the gamble to rebuild the early smartphone pioneer’s reputation failed, as its market share has continued to dwindle — to below 1 percent from closer to 10 percent in 2011. On 21 September, Wang announced HTC was shifting around 2,000 staff, mainly handset engineers, to Alphabet’s Google in a $1.1 billion deal that casts doubts over the company’s longer-term future. Wang, a pioneer in Taiwan’s male-dominated technology industry, founded HTC 20 years ago as a contract manufacturer and established it as a leader, designing and making Microsoft-powered smartphones. It later turned out its own branded phones, but often struggled to translate positive early reviews into strong sales, despite spending heavily on marketing, including a collaboration with “Iron Man” star Robert Downey Jr for its flagship HTC One phone. 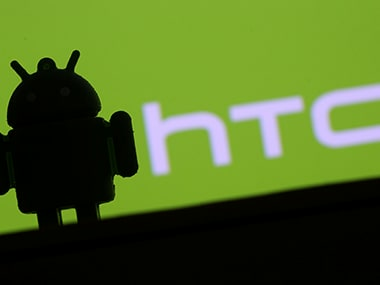 HTC shares have slumped around 90 percent since the company’s 2011 peak. This week’s deal marks a retreat from HTC’s smartphone legacy. “It may take a hard look at its smartphone business ... and think it’s probably better to wind it down as soon as possible rather than for it to drain more cash,” said David Dai, an analyst at Sanford C. Bernstein. “Google’s investment will probably slow, but not stop, HTC’s decline,” said Neil Mawston, an analyst at Strategy Analytics. “Vive remains in the red; free cash flow is negative; book value is eroding; and sales growth is decelerating,” JP Morgan analyst Narci Chang said in a note following the Google deal. For now, no major VR overhaul has trickled down to staff. “It (Google’s investment) could be (a good thing), but it’s business as usual,” one Vive employee told Reuters.